Want some relief from your busy schedules? 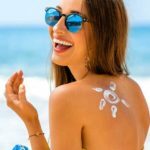 Here are 17 Fun and totally Doable Self Care Activities for Groups, for Working Moms Group, for Entrepreneurs, for Busy Women Groups. In this modern world, Self Care really matters. We are over-scheduled, our lives are trapped with endless to-dos, we don’t have time to be relaxed. This leads us to an environment, packed with negative emotions, illness, stress, anxiety, and unhappiness. And Self Care is one of the best ways to provide you an assist to fight over these bad emotions. Self Care is all about giving yourself some time, far from all the stress and negativity, just enjoying and doing what you love to do. For this, You don’t have to take heavy tasks and consultancies. Just start ditching your unhealthy habits and participate in many tiny tasks while making some healthy habits. Do you need some tiny tasks to start self-care? 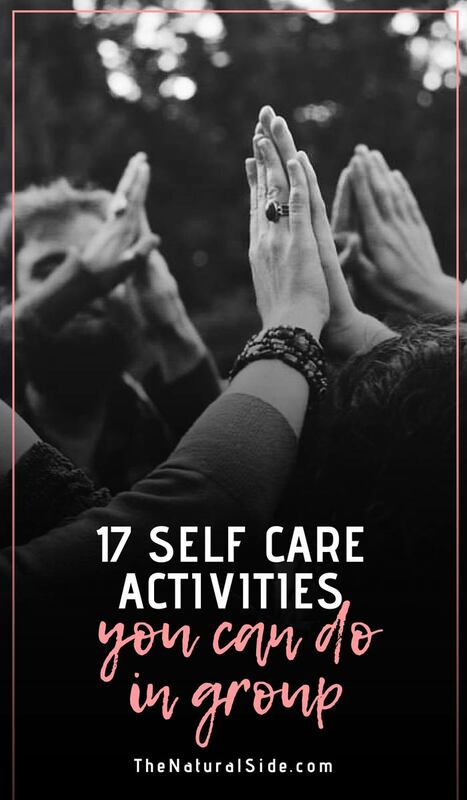 Here are 101 great Self Care Ideas and activities to get you going. These are some awesome activities for an individual but what if you need ideas for groups? 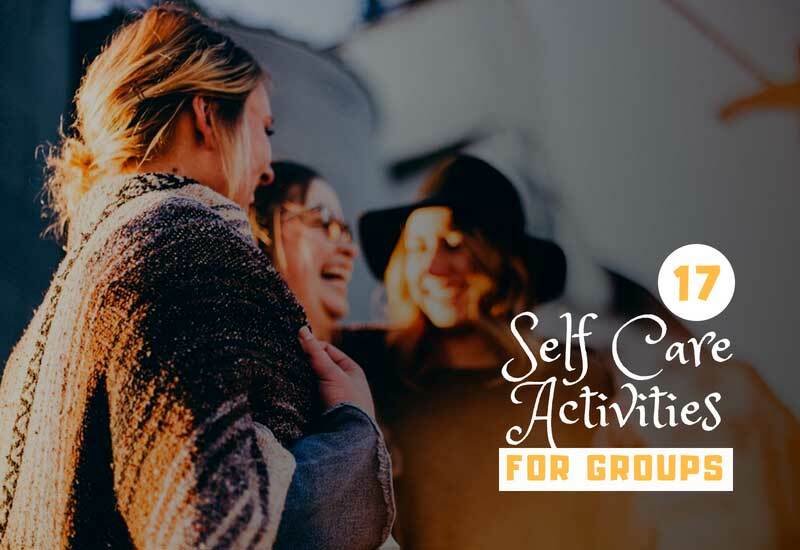 In this post, you will find 17 Easy and Fun Self Care Activities for Groups. A group may be company employees, working women or busy entrepreneurs. Because they face much stress over projects and deadlines. But you can make your own group too with your friends and family members. Just for enjoying activities that nourish your mind, body, and soul. 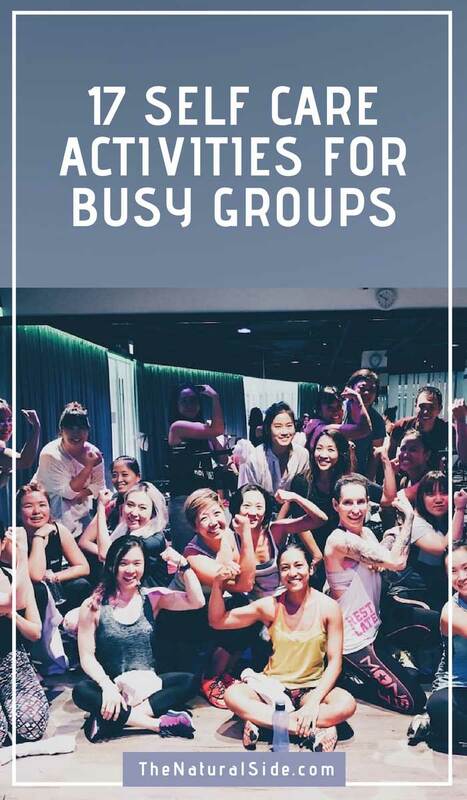 So here we came with 17 Best Self Care Activities for Groups. Our mother nature has the solution to every problem. Prepare your backpacks and have an awesome Camping or Hiking near nature with your group. Gardening is one of the best healthy and stress reliever hobbies. Some people love to do gardening for organic and delicious food. But Gardening is an excellent way to relieve anxiety and negative thoughts. Along with fresh produce, gardening allows you to get into the sunshine and fresh air which are positive for your body and mind as well. 3. Fun with Pictures… my favorite one! Ask other friends to do the same. This is gonna so fun. Watch funny videos on Youtube or host a group movie night over the weekend. 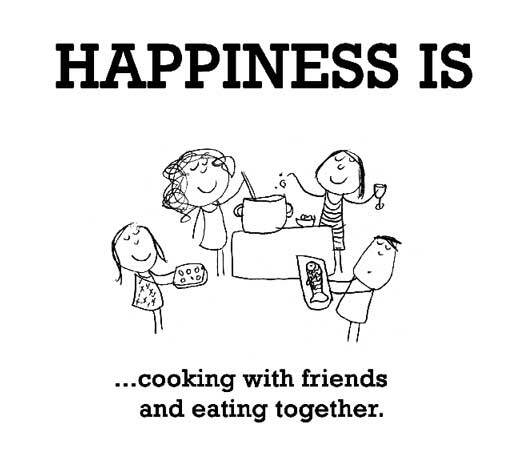 Invite your friends to cooking and eating together. Because food is the ingredient that binds us together. Out of Recipes? Here are 21 recipes to cook with your friends. Choose any character you love. Maybe your famous Singer, a television personality or the queen of England or maybe the king? It would be so funny to see how bad you are at it. Or you can decide a funny attire for your meetup. Take a Whiteboard, say people to write down their personal wellness goals. Such as “I will join yoga classes”, “I will be Vegan from next month” etc. These healthy goals inspire others too. Means a win-win situation. It’s almost impossible to find a person who doesn’t like Music. When we listen to music our mind releases Dopamine, a feel-good hormone. Music is a therapy that lowers the blood pressure levels, enhance concentration and eases depression. Play music and start dancing don’t be embarrassed for your moves, just dance like a kid. Sing even if you don’t know how to sing. Just let your Heart Sing. You can make up your own lyrics too. 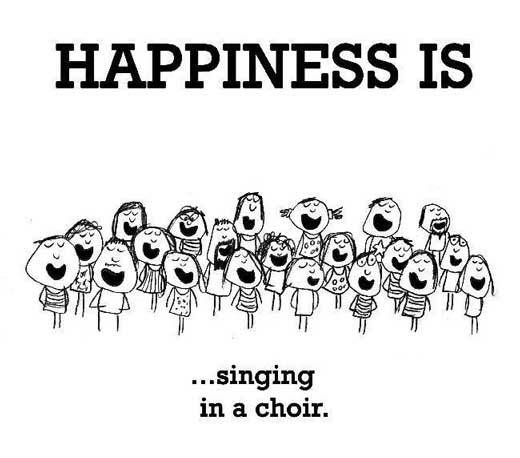 Singing daily for at least 10 minutes reduces stress, clears sinuses, improves posture and can even help you live longer. A funny dress competition? You say… we have already done that. No, because this time it is for your pets. Yeah, You heard that right. You can plan for a fun competition for your dogs and pets. Your pets will look so cute in those pretty costumes. You know how happy you feel receiving gifts. Same goes for Giving and Helping someone. There are many ways of helping others to better their lives. You can donate to your local charities, clothes from your closet you are no longer using etc. Many studies have found and proven that Yoga and meditation have the power to cure any kind of depression and negative thoughts. Yoga clears the mind and relaxes the body. Plan for a Group Yoga Class including stress relieving yoga poses and breathing exercises. Need some good ideas? Check this post with 20 insanely simple games that surely make you laugh. Plan a visit to your local Farmer’s Market and bring some fresh vegetables and fruits. It’s gonna something different. You can also consider going antique shop, museum, church or any other spiritual community place. Volunteering is not only good for your community and Society, but it is also good for you too. You are learning new skills, giving some good message to society. So it would be a good idea for your group to volunteer and educate the society with a great message. Solving puzzles can keep your mind engaged and busy, far from the stress and any negative emotions. This busy brain time allows your brain to a fresh start to work. There are many types of puzzles available for groups such as Wool Webs, Impromptu Skits etc. Just google for some good puzzles for groups. Something like the puzzles, drawing, and painting would be a great idea to distract yourself from the negative environment and stress. And the end piece that you made, will make you happy. You can organize a funny drawing competition with your group or family members.